With a real passion for quality after market products, we have been very specific on how these must work. With improvements over others that are currently on the market, we wanted to make sure you get the single best product for your money. We adopted the strut to include a reinforced rubber composition which will reduce the damage to the rubber when lowering the car, also reduces road noise & helps with stand the body weight of the car. 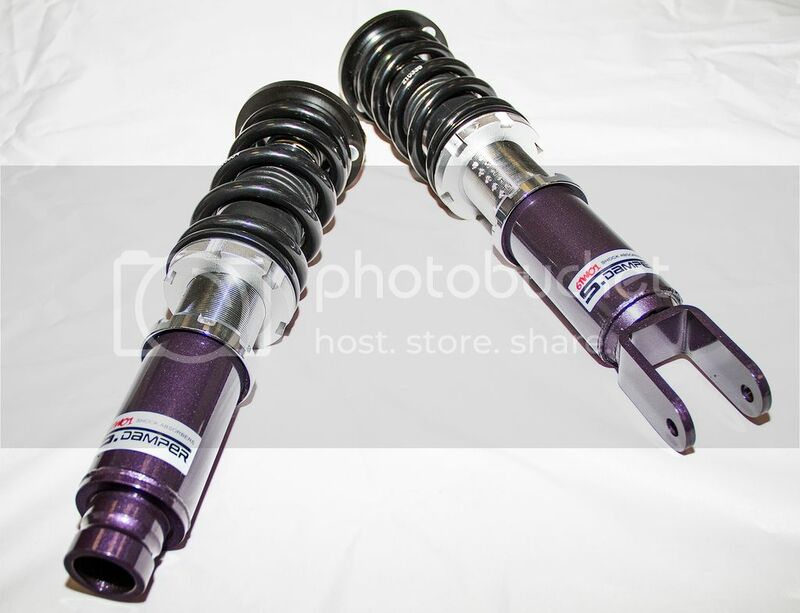 Strong Steel rings reinforce the structure of the coilover kits, making them a very safe unit for road or street use. We also use a singular ring, instead of dual rings to prevent loosening under any impact. Within the body of the coilover we have a dampening rubber which will reduce that feeling of bottoming out on uneven roads, minimising damage on the car or the suspension itself and also improving the comfort for driver & passenger whilst maximising the driving performance.